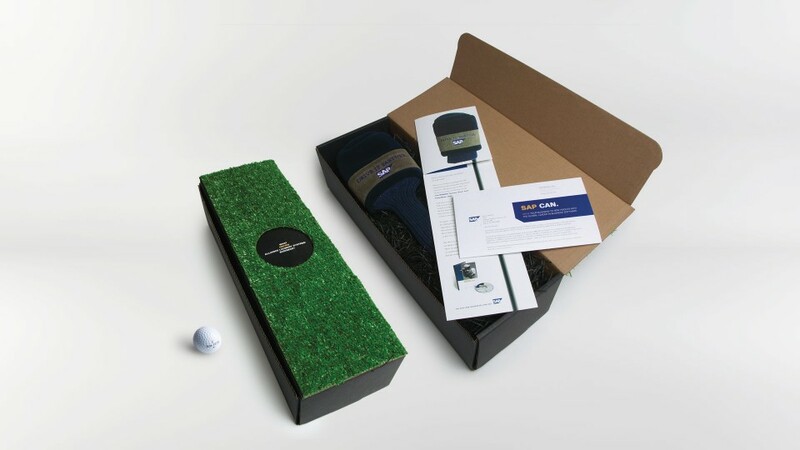 A unique, turf-covered box with a personalized letter and golf club cover was sent to prospects. Upon setting up an appointment with SAP, the SAP salesperson would bring them the driver to the meeting. This campaign generated multiple appointments with hard-to-reach C-level prospects.